hypopycnal flow is associated with a lower river water density entering a higher density standing water density in the basin. 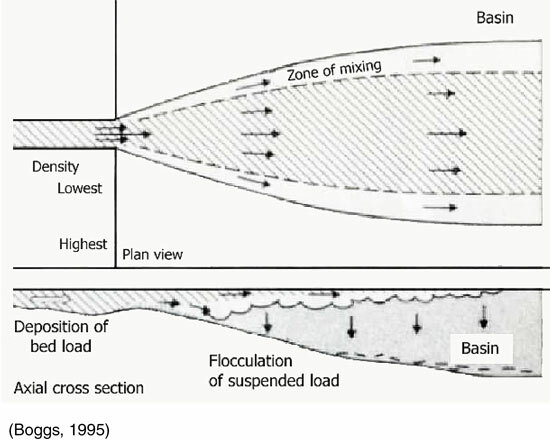 Under these conditions, the river water will flow out over the standing water gradually depositing the suspended clay portion of the sediment load to the prodelta. The clay particles settle out of suspension through the process of flocculation (the clumping of clay particles together due to a positive-negative charge relationship created by the seawater).